The year was 1984. Ghostbusters was asking movie goers who they were gonna call. Mustached East German athletes were dominating women’s speed skating at the Sarajevo Olympics. Michael Jackson won Album of the Year—and then burned his scalp filming a Pepsi commercial. 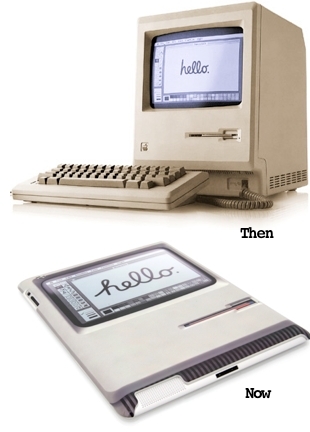 And Apple launched the Macintosh, the first commercially successful personal computer with a graphical user interface. No person can go back to 1984. 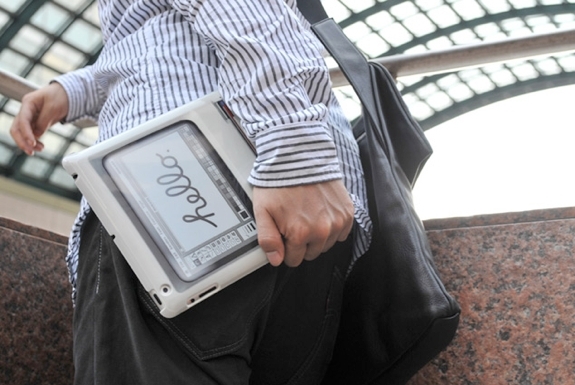 But now, thanks to purveyor of cool things ThinkGeek, your iPad can—sort of. 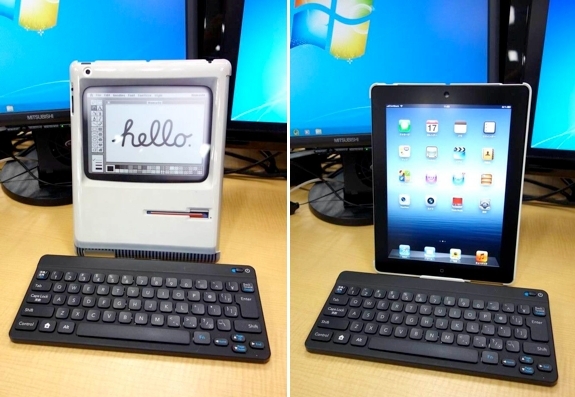 Their new Padintosh iPad Cover will make your Apple tablet resemble a (thinner) version of that classic 1984 Apple computer. 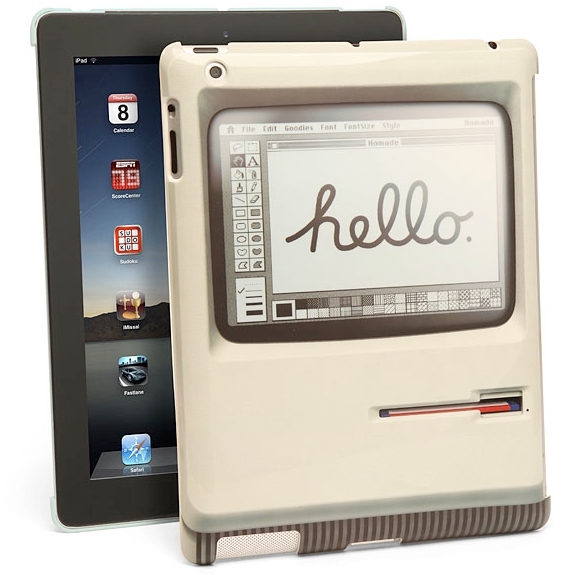 That retro look a Padintosh lends an iPad is striking. So much so that it’s easy to overlook the qualities that make the Padintosh a genuinely great, practical case. The key thing to know—and you may not notice this when glancing at photos of the Padintosh—is that the case covers the back of an iPad, not the front†. That means that Padintosh will leave the font of an iPad unprotected. Happily, a Padintosh-clad iPad can also accommodate a Smart Cover over the front. (Though, even with a Smart Cover we’d suggest a quality screen protector like the invisibleSHIELD). Holding a Padintosh-ed iPad is comfortable; arguably more so than holding an iPad out of the box. The cover is ultra-thin, only 2mm tick, so it won’t add much bulk. Of course, that means it doesn’t provide any shock protection either. We also like the case’s precision cut. The Padintosh doesn’t work with the original iPad. 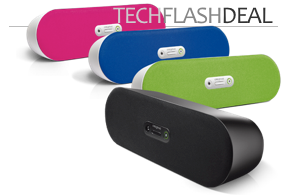 But it will fit snugly on a 2nd or 3rd generation model without interfering with access to the speakers, buttons or charging jack. If you get a Padintosh case you may want to download a few 1984 hits—we’re partial to Girls Just Wanna Have Fun—onto your iPad. As for wearing a spandex miniskirt or pastel-colored Miami Vice Armani jacket, that’s strictly optional. † At first glance we thought the Padintosh covered 2/3rds of the screen and that you’d run some app emulating a 1984 Mac. That could be a cool idea, but not as practical.